Tolstoy’s fame as one of the world’s greatest novelists has never been in doubt, but the importance of his views on the social, moral and religious issues of his time is not so widely recognised. 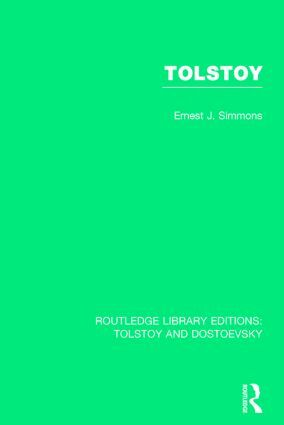 This study, first published in 1973, presents an introduction to the historical and cultural background of Tolstoy’s lifetime, then going on to consider the major events of his developing personality as a writer and reformer. As well as considering the famous novels and literary criticism, Simmons treats his educational theories and practice, famine relief work, spiritual crises and religious, social and moral beliefs, as reflected in controversial writings such as What I Believe, What Then Must We Do? and The Kingdom of God Is Within You. He also investigates Tolstoy’s involvement in government, war and revolution, and the relevance of his reformist views in the contemporary world.